This extraordinary location will host our Summer meeting. We will be there in force on the second day, Sunday 14 July, but several you might want to join a group also planning to participate in the fun on the first day, Saturday 13 July, and stay over either in the Hotel itself or locally in Droitwich Spa. 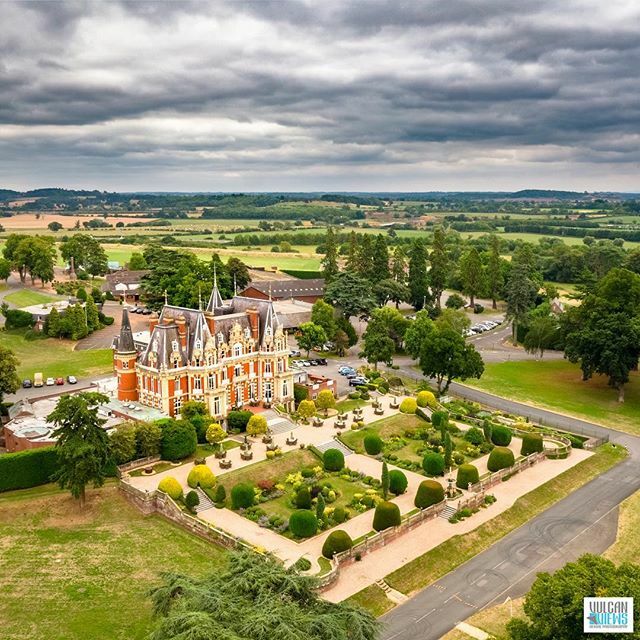 Chateau Impney has developed a rich motoring heritage over the years, a tradition that began when the Hagley and District Light Car Club organised their first sprint in the grounds of the hotel on 29 September 1957. The event was a roaring success, with Autocar magazine hailing the Chateau as “easily the most picturesque of this country’s sprint and hill-climb venues”. The sprints continued for the next ten years, before finishing in 1967. In 2015, this historic motoring event was revived as the Chateau Impney Hill Climb, which saw over 200 competitors tackle a longer, more demanding course across two days. The Chateau’s first-rate facilities, which include 106 en-suite bedrooms, nine self-catering apartments, a stylish restaurant and bar and extensive exhibition facilities, housed not just a competitive motorsport event, but a classic car auction, a Concours d’Elegance, and a trade exhibition with over 60 businesses. Peter Bradnock is coordinating the 2018 Autumn Tour to be based this year in Derbyshire. Dates are now fixed and more details will be posted here shortly. As usual it will combine great driving, good company and good food with interesting places to visit. This year we are touring into The Netherlands and joining the Stichting Club Alfa Romeo Bezitters (SCARB) at their 40th anniversary Spettacolo Sportiva Alfa Romeo weekend meeting at the Zandvoort Circuit on the coast east of Amsterdam on 25 – 26 August. This event comes highly recommended and is attended by Alfisti from all over Europe including a regular contingent from UK. More information can be found at www.alfaclub.nl. Our group will depart from Folkstone on Le Shuttle early afternoon of Tuesday 21 August heading for Bruges in Belgium. We overnight in a splendid old 4-star hotel in the centre of Bruges. Next day we wend our way to Bergen op Zoom in the western part of the province of Brabant in The Netherlands to stay in what claims to be the oldest hotel in the country, again in the very heart of the town. On Thursday, 23 August, our route takes us through the most beautiful and picturesque parts of the Netherlands. SCARB has kindly provided us with this route taken from their 2016 Coppa Spettacolo Sportivo Tour. It passes through the old fishing village of Yerseke and the historic cities of Middelburg and Veere to the hugely impressive Delta Works coastal flood protection system in the southwestern part of The Netherlands. We cross the main entrance to Rotterdam harbour by ferry then past Delft to the city of Leiden. Our ultra-modern hotel on the outskirts of Leiden will be our base for the next four nights. A visit to the Louwman Motor Museum is planned for Friday morning and on Saturday and /or Sunday we will drive 35 km north to the Zandvoort Circuit for the Spettacolo Sportivo Event. We will be meeting up with our Dutch friends in the Giulietta Register along the way and planning alternative sightseeing activities for some of our time in Leiden, including a possible afternoon drive taking in the “Green Heart of Holland”. The final day, Monday 27 August, will be a straight, mostly motorway, run to Calais for the late afternoon train to Folkstone. Total cost is estimated to be £970 per car assuming two people per car. We still have to agree single occupancy rates with the hotels which should make it marginally cheaper. The estimated cost includes Le Shuttle, double or twin rooms including breakfasts for six nights, two group dinners, and car parking. Entrance to the Zandvoort Circuit for the whole two days will be €18 per person and is not included in this total cost estimate. As usual we will be asking for a deposit of £485 (50%) per car from all participants in the next month or so to pay hotel deposits and reserve the trains. Again, as usual a reconciliation of all costs will made on our return. We have provisionally reserved 15 rooms at each hotel. Six of these are already allocated to Members who have registered their interest. So, if you have not already done so, please email Peter Bradnock (ppbradnock@gmail.com) as soon as possible to register your interest in joining this exciting and different European Tour to The Netherlands. 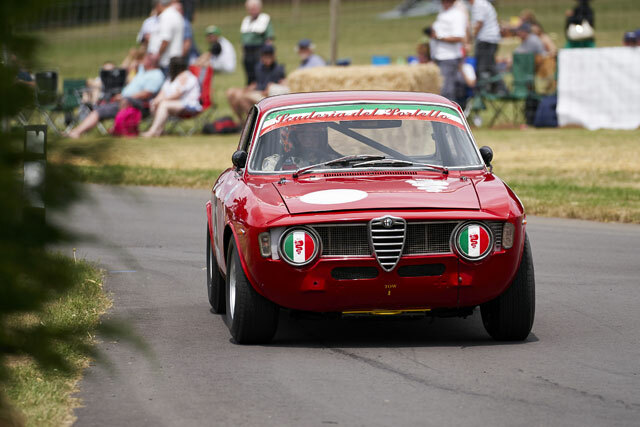 Sunday 1st July – National Alfa Day, Weston Park, Shropshire. Details at the Events Diary section of www.aroc-uk.com . Advance bookings recommended. We are also looking at plans for a second event over the Summer for the Register to support, more details in the next ‘Letta. Classic Alfa track day at the historic Goodwood circuit. Always some Giuliettas present and hopefully in action on the track. Date subject to change. Watch www.classicalfa.com for more details. Saturday 5th May – Auto Italia Italian Car Day at Brooklands. See www.brooklandsmuseum.com for advanced tickets – recommended! For the 2018 Meeting and AGM, the Register is heading to Downton Abbey! More correctly, we will be assembling at The Carnarvon Arms, Winchester Rd, Whitway, Newbury, RG20 9LE. This is located only a short distance from Highclere Castle (the seat of Lord Carnarvon), where Downton Abbey was filmed. Period dress is not required, but as the date coincides with the annual FBHVC ‘Drive-it Day’ for classic cars, we encourage you to bring out your Giulietta if at all possible! Arrive by 11am for tea and coffee before we settle down to the business of the meeting at 12 noon, followed by the more important business of lunch! Also local boy Paul Gregory has agreed to arrange a "fun run” for early birds and the overnighters to take in some local sights and great driving roads, starting from the Carnarvon Arms at 9.30am. Full details in the next issue. We have reserved a number of rooms on a first come, first served basis at The Carnarvon Arms at a rate of £98 for a double room, £90 for a single, on a bed and breakfast basis. If you would like to reserve a room, contact the Carnarvon Arms direct on 01635 278 222 quoting the date and the Giulietta Register to reserve your room at the special rate. The Autumn Tour will be over a long weekend in early October. Dates will be confirmed in the AGM. We will be based in Norfolk for some great new driving roads and fascinating historical and scenic places to enjoy. Join us for the our Summer event at the Flywheel Festival at Bicester Heritage. Now in its third third year, the festival features a unique mix of live action and static displays with hundreds of vehicles and vintage planes doing demonstration runs on the track and in the air. All adult tickets include a copy of the Flywheel souvenir programme (RRP £5). The 2017 European trip will be based around three nights over the weekend of 10-11 June in either Annecy or Aix-les-Bains, France. You will be free to explore the town or local area, or join Giulietta driving tours a little further afield if you wish. We will meet on Wednesday, 7 June, at lunchtime prior to a mid-afternoon Channel crossing to give us time to get 150 miles or so to Laon for our first overnight stop. Then two days and 400 miles through scenic eastern France to either Aix or Annecy, to arrive late Friday afternoon. After three nights in the hotel we will start our return jurney7, taking three days to cover 500 miles back to Dover by the the late afternoon of Wednesday 14 June. Our return route takes us into new pastures via the western part of the Burgundy wine region and the hills of the Morvan, before picking up the motorway for the final run up to Calais. We hope that this tour will provide a good blend of leisurely driving, a chance to relax and to indulge in a variety of excursions on the weekend in Aix or Annecy. For this trip we will budget as usual on around £1,100 per car (two people) to cover the Channel crossing, seven nights accommodation, and three or four set group dinners. Please let Richard Hampton know if you are interested in joining this Tour or want more information, via email: richard.hampton@omsco.co.uk. Register your interest now and be kept up to date with the plans. Deposits will be required probably in January 2017. Our first get together of 2017 is the Spring Meeting and Annual General Meeting on Sunday 2 April at the Barns Hotel, Cardington Road, Bedford MK44 35A (telephone 01234 270044). This is a stunning riverside location with a characterful 13th centruy tithe barn. Arrive for coffee at 11.00 am. Lunch is a three course fixed price with choice of dishes in each course. The lunch order form will be available on this website shortly. Always looking for great Giulietta driving opportunities, this year we are heading for North Wales. With excellent roads and little traffic, rugged scenery, and some interesting visitor attractions, Snowdonia beckons. We will be based for the Friday and Saturday nights at Bryn Howell Hotel overlooking the Llangollen Canal close to Telford's magnificent Pontcysyllte Aqueduct. We have reserved rooms at the hotel at a room rate of £130 (double occupancy) and £75 for single per night for dinner bed and breakfast. Telephone 01978 860331 to reserve your room, quoting the Giulietta Register. A £25 deposit is required on booking. Post code of the hotel is LL20 7UW. On Friday 14 October we will meet at the Wellington Inn, just off the A49, (postcode HR4 8AT) for a lunch rendezvous at noon. The scenic route starts from there to Snowdonia and on to the Hotel. On Saturday we have a tour planned with different options incuding gardens, castles, and a power station but you wont be able to do it all! We plan a guided tour of the Dinorwig Power Station hidden inside a mountain near Llanberis. Although this is a short tour it is not to be missed. We have a block reservation for 12 noon on Saturday but we do need to confirm number which may be limited, so first come first served. Sunday morning sees us on a tour for a final lunch near Ludlow before heading for home. Please tell Tony Ives when you book your rooms. In summer we have decided to visit Sherbourne Castle for one of their main summer events Classics at the Castle. The 'new' Castle is a fantastic 16th century Tudor mansion set in some stunning grounds, including the romantic ruins of the 12th century 'old' Sherbourne Castle. Go to: www.classicsatthecastle.co.uk for more information. As you will see, the event has very good feedback with glowing comments on the quality of classic and supercar displays. The Register has provisionally booked a display pitch in the Italian area for 15 to 20 cars. The price is only £10 per car including all occupants (pre booked) However Tony Ives will need definite numbers by mid May as the event organisers need time to plan pitch sizes. Many members have attended this event before and highly recommend it. To book you will need to either pay via Paypal sending the payment to: gr@peteryaxley.plus.com quoting Summer event 2016 or send a cheque made payable to: “The Giulietta Register” to to Tony Ives (address in the front of the Letta) Payments by the end of May. AROC National Alfa Day at Chatworth House , Derbyshire. USA Giulietta Register member, Bo Richardson writes to invite Register members to join him and fellow Tennessee member Lew Rosenberger to the USA AROC Annual Convention in Nashville, Tennessee, in June. Details and registration forms are available at www.Alfa2016.com. This has been receiving rave reviews since it has been re-introduced in 2010. A number of Register members have enjoyed competing in their Giuliettas in recent years as highlighted in the Giuliettaletta. So why not go and see for yourselves and support our fellow members? More information on the this organiser's website: www.motorsportatthepalace.co.uk. This is not an official Giulietta Register event. Note: This is not an official Giulietta Register calendar event. To join us for lunch you will need to book beforehand via the Register website: www.giuliettaregister.com. Menus choices and prices will be on the website in January and bookings need to be made by the end of March. Prices are as follows: Dinner/bed/breakfast (DBB) for double occupancy £139; DBB for single occupancy £119. These are the same prices as 2015, which everybody thought was very good value. Please note these rooms need to be reserved by mid March after which time they will go back on general sale. The Autumn Tour will be to the stunningly picturesque North York Moors. We will meet for a pub lunch on Friday, 2 October, followed by a scenic drive, with added attractions, to our hotel. Saturday will offer a choice of cultural or driving options or a bit of both. Sunday will provide another great drive taking in various attractions before a pub lunch and then going our own ways for home. Put these dates into your diary and don't forget the woolly jumper. Further details will be in the Spring Giuliettaletta and on this website. The Tank Museum at Bovington is a fantastic venue for the Giulietta Register Summer event. Exhibitions tell the fascinating story of armoured warfare from World War I to the present day. This unique collection of over 300 vehicles is regarded as the best in the world and includes the world's first ever tank - Little Willie, the feared German Tiger tank, and the modern Challenger 2 tank. Admission prices: £11.00 per person, OAPs and children £5.00. For this event admission is ONLY by advance payment to the Giulietta Register. Please send your payment via PayPal to gr@peteryaxley.plus.com, quoting Summer Event 2015. Alternatively, send a cheque made payable to The Giulietta Register to Tony Ives, Orchard Bungalow, Staplestreet Road, Faversham ME13 9TJ. Please book before mid July. If you are paying by PayPal, please let Tony Ives know at email 4seasons123@googlemail.com, so he can monitor numbers joining the event.